Go language is a thing built by Google that looks like C/C++ but simpler. It’s also sorta like Java, but built for the web, and sort of optimizing those other languages to be simpler to write stuff. Now exit your terminal, or just open a new tab and you should be set to go. now you have to logout of your terminal and start another one to read your paths. Once you do this, you can start writing and running Go code. If you don’t see the version number, fix that before you proceed, or stuff won’t work. You probably want to write go code with Eclipse (but really you could write it with vi or nano) so you should probably install that. 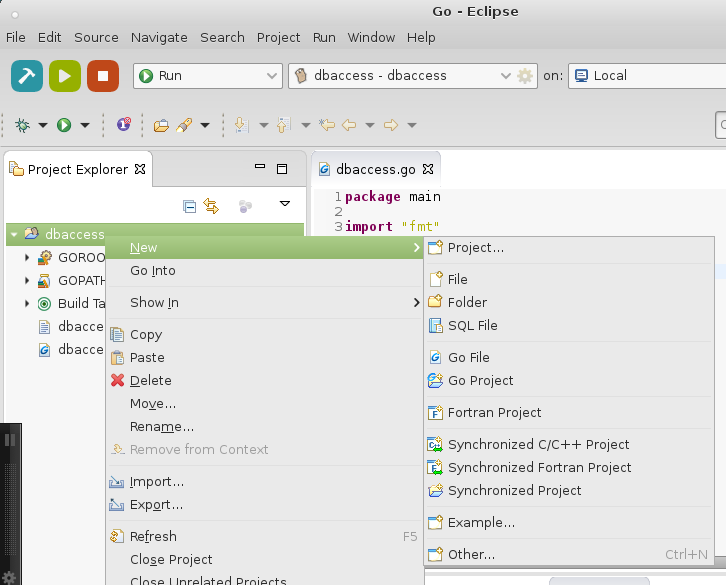 After you get Eclipse installed, you have to install GoClipse like by going to Help > Install New Software > Add > Location: http://goclipse.github.io/releases/ > Ok (it will show Pending for a little bit, then show) > Trust Certificate Brainwy (Select) > Ok > Prompt for Eclipse restart. Congratulations, you have just made your first Go program!